Royal Wheels India is an adventure travel group organising Goa Beach Holidays.. It is 16 kms from the capital city Panaji and is the most popular holiday resort in Goa. It is also known as "The Queen of Beaches" and consists of excellent accommodation facilities at the tourist resorts and cottages. It is on the shores of the Arabian Sea of North Goa. 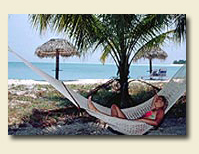 The name of the beach is a distortion of the local vernacular word, 'Koli-gutti', which means the 'land of fishermen'. Some connect it with 'Kalyan-gutti', the 'village of art' or 'Konvallo-ghott', the 'strong pit of the coconut tree' as the village nearby is full of coconut trees. It is believed that with the Portuguese invasion, it got distorted to Calangute. Once upon a time Calangute was the most haunted beach all hippies during Christmas celebration when psychedelic hell broke loose. The best time of the year to visit this beach is between the months of September and March. It is 6 kms from Marmagoa. Colva is one of the most popular beaches in South Goa. This beach is the pride of 'Salcete' and the only rival to Calangute by its scenic splendour. In Colva sand, sea and sky blend in enchanting natural harmony. It consists of excellent accommodation facilities at the tourist cottages. It is evening and weekend days destination for the natives. While driving to Colva from Marmagoa you pass through the large Church of Our Lady of Mercy, Nossa Senhora das Merces, built in 1630 and re-built in the 18th century. It is at heart of the longest unbroken stretch of beach in Goa from Marmagoa to Cabo de Rama. Colva is pleasant and convenient place to stay giving an opportunity to swim safely. It is 7 km from the state capital Panaji. Dona Paula Beach is an idyllic Zpicturesque spot and gives a fine view of the Zuari River and Marmagoa Harbour. This is an idyllic spot to relax and sunbathe Water scootering facility is very popular at this beach. The beach is near the rocky point between the Mandovi and the Zuari. At the Dona Paula Bay, two of Goa's famous rivers meet the Arabian Sea. The beach is named after Dona Paula de Menezes and is also called the 'Lovers Paradise' due to a myth attached to the place. Cabo Raj Bhavan, the official residence of the Governor of Goa is situated on the westernmost tip of Dona Paula. From Bogmalo to down south, there is Majorda beach bellying the Majorda Beach Resort. Majorda is the village where the Jesuits, fond as they were of the good things of life, discovered the best Goan toddy (sap from the coconut palm), which they used to leaven the bread. Naturally, then, Majorda is the place where the Goans were first trained in the delicate art of baking European breads. Therefore, the Majordans are still Goa's best bakers. As per the Goan version of Ramayana, the Lord Rama was abducted as a child and brought up at Majorda. Later, in pursuit of Sita, he camped at Cabo de Rama-a headland further south-where the stretch of developed beaches ends. It is 3 kms from Panaji. Miramar is a golden beach of soft sand girdled with palm trees facing the Arabian Sea and is nearest beach from Panaji. It is one of the most popular beaches in Goa. To watch the sunset from Panaji this beach is the best location, only fifteen minute' walk along the Dayanand Bandodker Marg riverfront avenue. The beach is an urban beach where the Mandovi River meets the Arabian Sea. It is not a safe beach to swim because of the strong undercurrent. It is also 37 kms from Marmagoa. The beach is situated at west of Chaudi. It is one of the most enchanting beaches, but at the same time relatively deserted. It is situated in the backdrop of Western ghats. It has 1.5 km crescent shaped beach and lies on the southern coastline of Goa amidst outstanding natural beauty. It is fast emerging as a popular spot for day-trippers from Colva and Calangute beach. The soft white sands, the black lava rocks, the coconut palms, the lush green landscape, nature playing its own tunes, and the sea turning from aquamarine to emerald green-Vagator overlooked by the 500-year-old Portuguese fort, leaves each visitor dumbstruck. Also, the world-famous Anjuna Beach lies to the south of Vagator. Vagator beach if still rich with rural life. 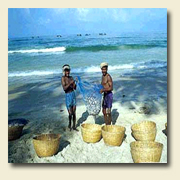 So a large number of fishermen in their traditional attire can be observed on the beach. Anyone patient enough to listen to the numerous stories of the sea can explore their stock of stories.